The United Nations' Human Rights Day is annually observed December 10 to mark the anniversary of the presentation of the Universal Declaration of Human Rights. The month of December is considered Universal Human Rights Month. 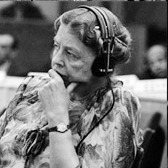 Events focused on the Universal Declaration of Human Rights are held worldwide. Many events aim to educate people, especially children and teenagers, on their human rights and the importance of upholding these in their own communities and further afield. The day may also include protests to alert people of circumstances in parts of the world where the Universal Declaration of Human Rights is not recognized or respected, or where the importance of these rights are not considered to be important. Cultural events are also organized to celebrate the importance of human rights through music, dance, drama or fine art. The Universal Declaration of Human Rights was drafted between January 1947 and December 1948. It aimed to form a basis for human rights all over the world and represented a significant change of direction from events during World War II and the continuing colonialism that was rife in the world at the time. The Universal Declaration of Human Rights is considered the most translated document in modern history. It is available in more than 360 languages and new translations are still being added. The UN General Assembly adopted and proclaimed the Universal Declaration of Human Rights at the Palais de Chaillot in Paris, France, on the December 10, 1948. All states and interested organizations were invited to mark December 10 as Human Rights Day at a UN meeting on December 4, 1950. Read the UN Universal Declaration of Human Rights here.